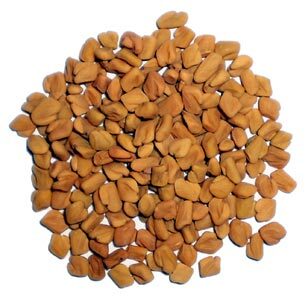 Soak some Fenugreek seeds in water overnight (say 1-2 handfuls for your hair) and sleep!Its night. Jus kidding :)! In the morning, grind the Fenugreek seeds into a fine paste.Take care that it is well grinded. Wet your hair a little and apply it evenly on your scalp. If you have some of the paste left, apply it on your hair. Wait for 15-30 min and rinse the paste well on your head and then wash it off. It will take a lot of time and water to get it off from your head because it is sticky. You could have seen that when you applied. It is well and good if you rinse it off under a shower. Then you can apply shampoo if you wish. Even after rinsing well, you can still find some(not some, but many)of the paste on your hair. For that, you have to wait for your hair to dry (half dry and still moist) and then comb it slowly. The remaining particles will come off. It needs a lot of time to do this. So make sure that you have enough time(maybe on a holiday) and don’t have any appointments or programs (because you can’t go out with all those particles on your head). Now its over. You can find dandruff gone (or at least lessened). It will give good results if done 1-2 times a week. Now there is something that is bonus in this treatment. After doing this my hair was soft. Really really soft. It was like a conditioner. Warning: If you catch cold easily, then this is not for you:(Because it makes you catch cold! shylu wow ……… its really working!!!!!!!!!! !